Nitrofreeze® cryogenic deflashing removes flash from silicone bumper stops. This fast, consistent and cost-effective process uses gaseous nitrogen to freeze the parts and plastic media to break-off surface imperfections and excess material. Thanks to batch processing, cryogenic deflashing can also reduce lead times and labor costs. Nitrofreeze was asked to remove flashing from silicone bumper stops that were gray in color and rectangular in shape. Similar products include silicone side spacers and silicone angle stops. In surgical applications, block-shaped silicone implants are used. In building and construction, silicone provides an alternative to mortar. A synthetic elastomer, silicone offer many desirable properties and is easy to mold. To meet this application’s requirements, Nitrofreeze needed to remove both outer diameter (OD) flash and inner diameter (ID) flash. Often, flashing appears on a part’s edge along the parting line of the mold, or anywhere metal meets metal to form a part boundary. The causes of flash are numerous, but the solution is fast and precise. Nitrofreeze used cryogenic deflashing to remove both ID flash and OD flash. First, the silicone bumper stops were cooled to cryogenic temperature so that the flash became brittle and easy-to-break. The parts were then tumbled and blasted with polycarbonate media. Because the areas of concern were readily exposed to tumbling and media, Nitrofreeze® was able to run large batches and offer a cost-effective price. Cryogenic deflashing is a computer-controlled process that provides repeatable, reliable results. It’s more economical than manual deflashing and can extend the life of worn molds that would be expensive to replace. With cryogenic deflashing, no job is too large or too small for silicone bumper stops that have been molded or machined. As the image that accompanies this case study shows, Nitrofreeze used cryogenic deflashing to remove unwanted material while protecting the surface finish and critical dimensions. Process development during sampling ensured that deflashing would maintain the features of these silicone bumper stops. Cryogenic deflashing is ideal for silicone but can also be used for plastic and rubber materials. For better results than manual deflashing can provide, try cryogenic deflashing for your next project. If your part is a viable candidate for our fast, consistent, and cost-effective technology, we can perform sampling for proof-of-concept. The consultation is free of charge. 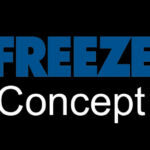 To learn more, contact Nitrofreeze at the phone number and email listed below. This entry was posted in cryogenic deflashing, Cryogenic Treatment, Deflashing and tagged cryogenic deflashing, deflashing silicone, silicone deflashing on April 8, 2019 by admin.